Red Meat vs. White Meat: Which is Healthier? Read anything about meat and it quickly gets confusing. The popular narrative suggests that red meat contains some important nutrients, but it’s not the best food for our health. Instead, we’re urged to replace meats like beef and lamb with poultry and other white meat. But is cutting out red meat a good idea? And is white meat really healthier? This article examines the key differences between red and white meat and answers the question; which one is healthier? The simplest definition dictates that meats which are red in their raw state are ‘red meat’. However, we can also define red meat by its high myoglobin content. Myoglobin is a type of protein found in meat which has a deep red color (1). In fact, the red liquid you often see in a pack of meat isn’t blood; it is a combination of myoglobin and water. Put simply; the more myoglobin a meat contains, the darker red it will be. Some examples of red meat include beef, bison, lamb, pork, and venison meat. Steak is probably the most famous red meat of all, and when it is cooked well, it is also one of the tastiest foods. The healthiest red meats you can eat are those in their unprocessed form, ideally raised in a natural environment. How is Red Meat Good For You? It’s widely accepted that red meat contains many important nutrients; specifically, protein, vitamin B12, and the minerals iron and zinc. This is only a selection of the beneficial compounds we can find in red meat, and there are many more. Notably, rates of iron deficiency anemia have been rising over recent years, effectively doubling between 2003 and 2012 in the United States (2). As the most significant dietary source of iron, could falling rates of red meat consumption be playing a role? There are also some worries that red meat may have negative impacts on our long-term health. In particular, these concerns relate to findings from nutritional epidemiology that suggest higher red meat intake increases mortality (4). Furthermore, red meat has been listed by the World Health Organization as a “likely carcinogen” (5). Part of these concerns specifically relate to the high-heat cooking of red meat, and others are about the curing process. We will examine the evidence behind all of these claims later in the article. Key Point: Red meat has a higher myoglobin content and it is naturally red in its raw state. It contains many essential nutrients, but some people have concerns over negative health impacts. White meat refers to poultry and light-colored meats. Sometimes this definition may also include fish, but people don’t generally consider fish as a “meat”, so for the purpose of this article we will focus on land animals. It is also a myth that white meat doesn’t contain myoglobin. Poultry does contain this protein, but in a much lesser quantity than red meat does. 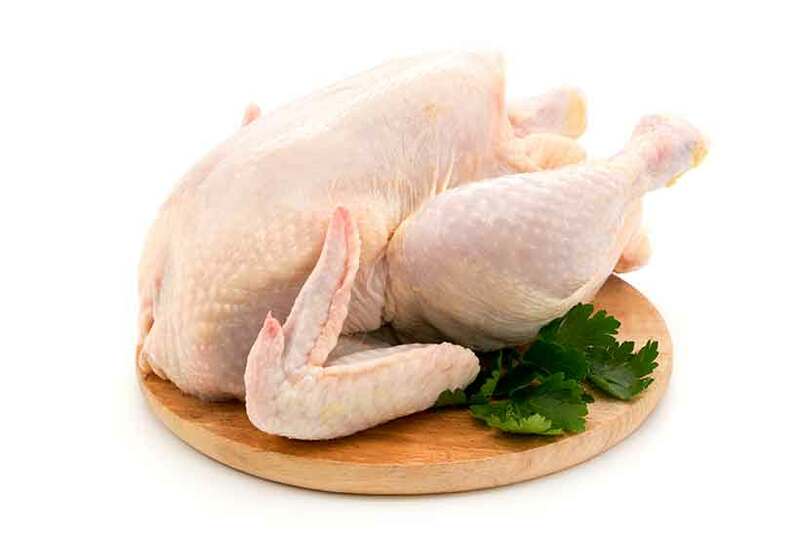 Some examples of white meat include chicken, duck, turkey, and other types of poultry. What Are Turkey’s Benefits and Drawbacks? How is White Meat Good For You? For one thing, it does not have the health concerns that red meat does, and so we often hear it suggested as a replacement. Additionally, leaner cuts of white meat are among the highest dietary sources of protein. Poultry also contains a range of essential micronutrients. Some people feel that white meat is a vastly inferior source of nutrition than red meat. It is certainly true that red meat is more nutrient-dense, but is the nutritional profile of poultry really so bad? Key Point: There are several alternate definitions of what white meat is. However, poultry meets this definition in all of them. Like all meat, white meat contains important nutrients. In this section, we’ll look at the similarities and differences between red and white meat. Let’s now examine how these four meats contrast in terms of fat, carbohydrate, protein, vitamins, minerals, and other bioactive compounds per 100g. All nutrition data is sourced from the USDA. No meats contain any carbohydrate. As shown in the table, beef and lamb—the red meats—tend to be higher in saturated fat and lower in polyunsaturated fats. On the other hand, chicken and turkey are very low in saturated fat and higher in polyunsaturates. All meats have a roughly 10:1 ratio of omega 6 to 3 except for lamb, likely because the majority of lamb are raised on pasture with a grass-based diet. Opting for grass-fed beef or pasture-raised poultry would lower these ratios in beef and poultry respectively. Both red and white meat is a good source of protein. Here is the vitamin content of all four types of meat based on the recommended daily allowance (RDA). As we can see from this data, all meats provide a decent range of vitamins. However, the major difference comes from the vitamin B12 content; red meat is a much bigger source of B12. Vitamin B12 is an essential vitamin that, among other functions, is responsible for blood cell formation, neurological health and DNA synthesis (10). Those suffering from a B12 deficiency (such as vegetarians and the elderly) are at greater risk for a variety of health problems (11). Again, we can see that red meat provides a more significant range of minerals than white meat does. However, all four of these meats are relatively nutrient-dense and a good source of minerals. Key Point: Red and white meats are similar in terms of their macronutrient profile. However, there are some differences regarding micronutrients; red meat tends to offer a greater quantity of vitamins and minerals. In addition to the nutrient profiles, meat also contains a variety of bioactive compounds that infer health benefits. Carnosine: An amino acid that may have anti-glycation, anti-inflammatory and immune-regulating properties (12, 13). Choline: An essential nutrient that plays a key role in our central nervous system, memory and other cognitive functions (14). Coenzyme Q10: This compound acts in a vitamin-like manner in the body. It helps to generate energy for the growth, repair, and maintenance of our cells (15). Conjugated Linoleic Acid (CLA): This is a natural (don’t worry) trans-fat that research suggests may provide a host of health benefits. Some of these include better insulin sensitivity and, potentially, improved fat loss (16, 17). Creatine: Creatine is a potent performance enhancer that helps improve endurance, muscular growth, and overall performance (18). Glutathione: Commonly referred to as the body’s master antioxidant, glutathione helps to fight oxidative stress and inflammation (19). L-Carnitine: Carnitine plays an important role in fat metabolism. Studies also show that it has beneficial impacts on various health markers, such as fasting glucose levels and hypertension (20, 21). Taurine: Taurine is an abundant amino acid involved in many functions. Notably, it may play a key preventive role against cardiovascular diseases (22). How Do These Compounds Differ in Red and White Meat? Per 100g, these compounds are present in the amounts shown in the table below. In regard to CLA, there is a big contrast between different meats (e.g. beef vs. pork and chicken vs. turkey). For this reason, the highest dietary source of the compound has been listed. Key Point: Red and white meat both contain beneficial compounds, but red meat has slightly higher concentrations. Now we have established that red meat has a higher amount of beneficial nutrients and compounds, what about the drawbacks? Some people consider that we should limit our intake due to links between red meat and risks of disease. Epidemiological studies show there is a clear link between red meat and cancer incidence, particularly regarding colorectal cancer rates (31). In other words, most of the studies on red meat do not differentiate between a home-cooked steak and a tin of spam. Meal 1: Steak, fresh vegetables, and a glass of water. Meal 2: McDonald’s meal of a Big Mac with french fries and cola. If the entire population were eating similar to meal 1, then there would be strong support for these epidemiological risks identified with red meat consumption. However, most of the people eating red meat are eating it in meals that also contain refined carbohydrates and vegetable oils. Key Point: There are observational links between red meat consumption and cancer. However, there are too many confounders and correlation does not equal causation. 2. 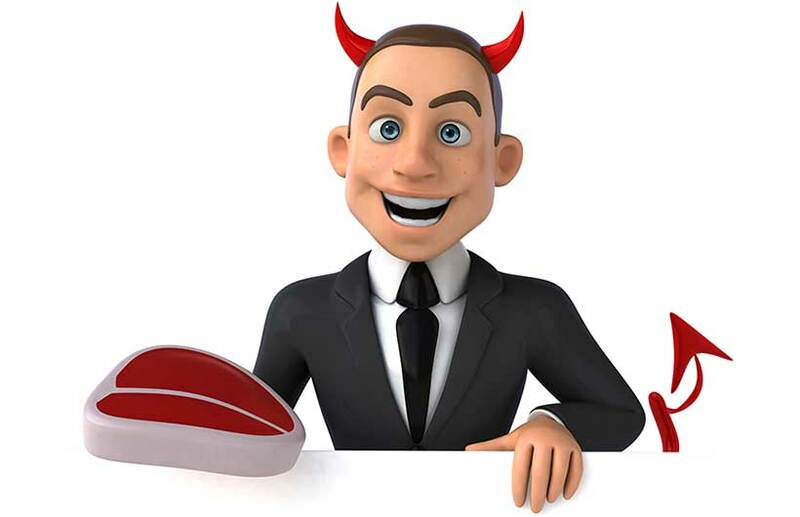 Red Meat and Cancer: What Do Systematic Reviews Say? Various systematic reviews have examined the effects of red meat in relation to cancer risk. Red meat, processed meat, or total meat is not associated with hepatocellular carcinoma (32). There is insufficient evidence to confirm a link between red meat consumption as part of a healthy eating pattern and colorectal cancer (33). 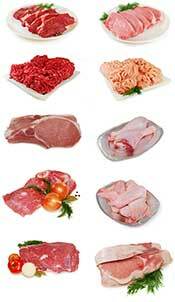 Consumption of red meat and processed meat was associated with the overall risk of colorectal cancer (34). As we can see, systematic reviews confirm that there is an association between red meat and colorectal cancer. However, they also demonstrate that there is no evidence that red meat causes colorectal cancer. Personally, I think what people eat with red meat is the most important consideration. Considering that almost 60% of the food people eat is ultra-processed food, it’s likely that most red meat consumption is part of an unhealthy dietary pattern. Key Point: Association doesn’t equal causation. There are links between red meat intake and cancer, but there is no mechanism for causation. There is also no evidence that risks are higher in healthy eaters. 3. Does Red Meat Increase the Risk of Cardiovascular Disease? In a similar fashion, there are epidemiological studies that suggest higher red meat consumption may increase cardiovascular risk (36). Firstly, this is open to the same criticisms as the association between red meat and cancer. Secondly, a recent systematic review examined this issue. This meta-analysis was fairly in-depth and featured 24 randomized controlled trials. To summarize, the study found that there is no difference in cardiovascular risk whether eating more or less than 3.5 servings per week. Some participants in these randomized studies were eating hundreds of grams of red meat per day (37). In other words, higher consumption of red meat had no effect on blood pressure, lipoproteins, or other cardiovascular risk factors. Going purely by the controlled evidence we have, red meat seems to have a neutral impact, and we certainly can’t assume that it is harmful. Key Point: Does red meat increase cardiovascular risk? Observational studies say yes, but randomized controlled trials say no. Evidence also suggests that how we cook meat determines how healthy (or harmful) it is. Unlike the epidemiological studies, there is a stronger case that this is something we should be careful about. The issue revolves around certain compounds known as heterocyclic amines (HCAs) and polycyclic aromatic hydrocarbons (PAHs). Notably, these compounds are suspected carcinogens and they form when cooking red meat at high temperatures (38, 39). It’s worth noting that these compounds can form in white meat too. First, it is not confirmed that consuming HCAs or PAHs increases cancer risk. However, meta-analyses and systematic reviews suggest that these compounds may possibly be a reason meat eaters have a higher (observational) cancer risk (40, 41). On the positive side, these compounds occur solely from cooking meat at very high temperatures. If we believe that HCAs and PAHs represent a health risk, then there are some steps we can take to mitigate the risk. Emphasize lower heat and gentler cooking methods. More HCAs form at temperatures over 220°C (428°F) or during long cooking times. With red meat, rare to medium is better than well done (42). Using vinegar-based marinades helps to reduce the formation of HCAs in meat. Particularly, studies show that these may decrease the HCA content by as much as 88% (43). Cooking with red wine reduces HCA formation by 72.5% – so a glass of red with a meal may also be beneficial. Using additional herbs and spices reduces this number even more (44). Key Point: Cooking meat at high temperatures increases the formation of suspected carcinogens. However, there are steps we can take to minimize/mitigate this potential risk. First of all, all meat is nutritious and full of protein, nutrients, and other beneficial compounds. The research shows that red meat is the superior of the two in terms of nutritional value, with the main advantage being the higher vitamin B12 content. That said, the difference between red and white meat isn’t as wide as some people assume, and poultry is also nutrient-dense. All in all, both red and white meat offer a variety of health benefits. However, neither red nor white meat are the most nutrient-dense meat; that honor belongs to organ meat. Red Meat: Is it Healthy or Not?